Melbourne-based book distributor Dennis Jones & Associates has ceased trading and has entered voluntary liquidation, with 1300 creditors, including a secured creditor, and approximately 500 debtors involved, reports Books+Publishing. Dennis Jones & Associates, established in 1991, was independently owned and has distributed more than 4000 books from over 800 publishers and self-publishers, including numerous small presses. A notice was listed by the Australian Securities and Investments Commission (ASIC) on 17 August, appointing Steven Kugel from the firm The Insolvency Experts as liquidator. In an interview with the Sydney Morning Herald, Kugel said that he would act for the benefit of all creditors including employees and secured and unsecured creditors. Publishers who have books with the distributor are free to collect their stock from the company’s warehouse as the books are not considered a company asset, according to Kugel. Various industry organisations, including the Australian Society of Authors (ASA), the Small Press Network (SPN), the Australian Publishers Association (APA) and the Australian Booksellers Association (ABA), have responded to the closure. The ASA set up an online form for its self-published author members who have been distributed by Dennis Jones & Associates, and who wish for the ASA to contact the liquidator on their behalf. The ASA has begun acting as agent for all individual author members who opted into this arrangement. A retrieval team has been put together by the association to help members get their stock back, according to a recent member update. The organisation has also made an agreement with distributor John Reed Books to take on distribution for affected members for the next six months in the lead up to Christmas. ‘This is a life-line for our members, as retrieving the stock is one vital step, but being able to continue to sell it is a benefit that many authors are going to struggle to achieve,’ said ASA CEO Juliet Rogers. SPN general manager Tim Coronel said that he is hopeful many SPN members will be able to find new distributors. ‘Already half-a-dozen other distribution companies have offered to discuss the situation with affected SPN member publishers and we’re confident that many former clients of Dennis Jones will be able to make new distribution agreements soon,’ said Coronel. The APA also expressed sadness about the liquidation of Dennis Jones & Associates. 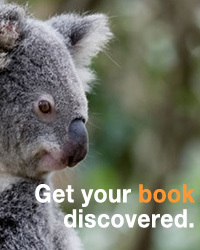 The ABA expressed concern that the liquidation would affect the diversity of the Australian book industry. ‘Over the years Dennis and his team have played an important role in our industry representing small and niche Australian publishers, self-published authors, as well as international distributors to Australian bookstores. Dennis Jones was also a long-term supporter of diversity of publishing and authorship in our industry. Maintaining a diversity of content, publishing and distribution are important issues for the health of the book industry,’ said ABA CEO Joel Becker and president Tim White in a joint statement.